A couple years back I decided to try and keep only “wholesome” foods in my kitchen. That sad day I sobbed while throwing out all the ice cream from my freezer. But let’s be honest…this ice cream lover would never make such a crazed decision without some kind of loophole! 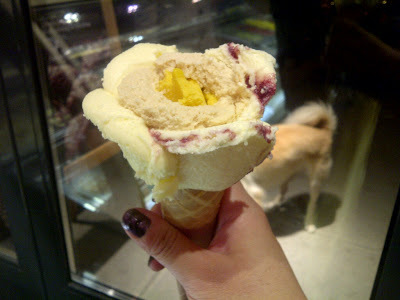 And here it is: if I feel like having ice cream, I better really want it enough to get off my bum, go out, and purchase a scoop (and notice I said scoop – no pint sigh). 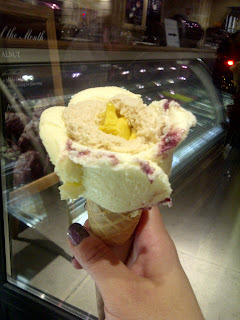 Not a problem for me as I have several ice cream shops surrounding my apartment mhuahaha! My gelato shaped into a flower! 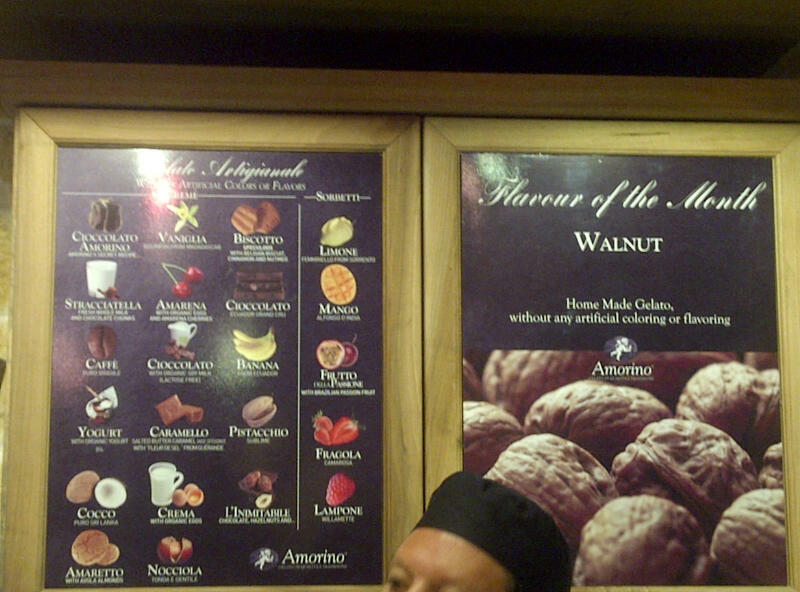 While this shop offers a variety of gelatos, hot drinks, and chocolates, the gelato is the big attraction here. 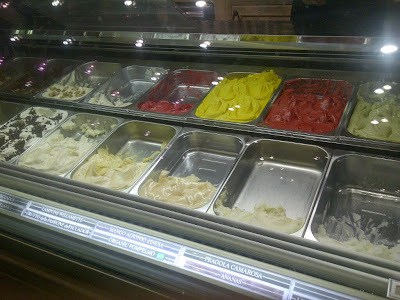 As with most gelato places, the flavors are listed in Italian but you can pretty much piece it together. And if you can’t, there is a menu with pictures (it’s ok I get it, some of us are just more visual people). 1. Mango - wonderful, honest flavor. Loved this one. Tasted like I was biting into a mango! 3. Salted Caramel – this was really good here. Small bits of caramel are treasures to be found. Some may find it a touch salty but I loved it! 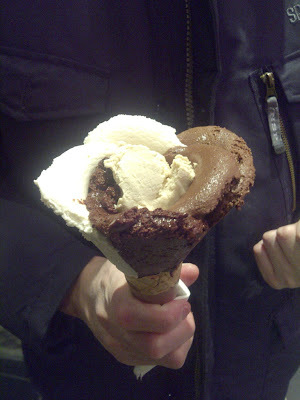 ﻿With all the flavors you’re bound to choose, ask for a spoon with your cone. This will come in handy for saving those melty drips that inevitably come down the side and will help you enjoy each flavor individually (otherwise they may just blend all together – such a shame!). 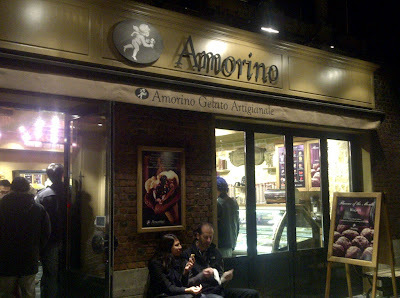 Amorino may be a bit on the pricey side (cones starting at $5.25) but the gelato is a rich and creamy treat. If you are in the Greenwich Village or Union Square area definitely stop by!